Right. Your CV looks good and you have cleaned up your social media act. That must get you straight through to the “Yes” shortlist on the hiring managers desk, mustn’t it? Hold your horses, eager beaver. Not quite yet. You see there is something else that will cause someone reviewing a pile of CV’s to ditch yours before considering your actual skills and experience and its this…. You would never do that right? Of course not. And how would anyone know anyway? Ah well you see, I am not referring to stating that you were the creator of the Apple Computer or anything else that would come over as an obvious lie. I am taking about good old – lying by omission. If you have gaps on your CV of more than a month or two – then explain them If you don’t the assumption might be made that you are lazy/not really looking for a job/were ill/were out of the country/in prison/or doing some other job that you don’t want to mention. If you only did one or two years of your degree – say why (briefly). If you have lots of job moves of a year or less on your CV then explain them – temporary contract/headhunted to another role/made redundant – whatever the reason was. As long as there is a reason that’s fine. Otherwise you look flighty and too much of a risk before you have even started. Oh – and please make sure all your employment dates match. It may surprise you to know – but if your employment dates overlap – we are aware that you cannot be in 2 places at one time. So if it was 2 part time roles – again – state that. Otherwise, we might just think you are making things up – and that is certainly not the impression you want to give it it? So – same as reason number 1 and 2 – don’t put hurdles in your own way. 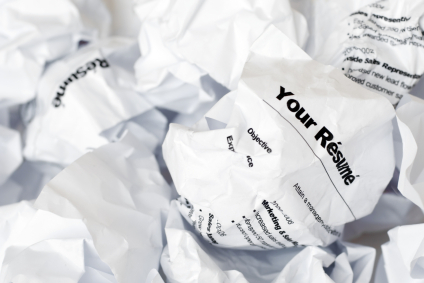 You want your CV to be taken for what it is, not rejected because not enough information was given.